.Even if we say that don’t care about fashion, the way we dress, shop and choose them says that we all are so into it and fashion is definitely an everyday thing. The desire to look good and remain in fashion has been so important for people nowadays. And why not as our dressing sense has impeccable impact on our personality and how other people take us. Today the fashion world is not only limited on the glamour business like modelling, films and media, people from other professions are also following it. With this the need of professional fashion designers has been increased. Fashion Designing is all about application of art to clothing and accessories as well as making people look better and feel comfortable. Making people look attractive, glamorous and confident is the prime duty of fashion designers. Fashion designing is influenced by nature, culture and social attitudes and it vary over time and place. The fashion sense of people is also largely influenced by films, characters and media. 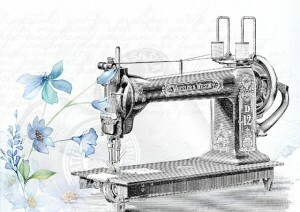 Fashion designing involves minute detailing of the work and the fashion designers should remain aware about the incoming trends and techniques. It is a work where accuracy, creativity and imagination is most important. Thus, fashion is one such arena which is ever evolving and changing. Today fashion is a big business. More and more people are involved in buying, selling, designing and transporting clothes. Like in other parts of world, fashion designing course is gaining popularity in Nepal these days as more and more Nepalese are becoming fashion conscious. The scope of fashion designing is broadening. Fashion designers work on various type of fashion research to provide best fashion trend for their audience. Fashion designing is not only about making objects (dresses/people) look nice and attractive, it’s also about giving the confidence and comfort to the audience. Primarily, clothes were made to give physical protection to the people but many things have come in between. Along with protection, people want comfortable and fancy clothes. Designers constantly try to design a cloth or fashion that is comfortable and pleasant to wear. Clothing and dresses are designed taking in the view of targeted audience. People want different things from the dresses they wear and it is hugely affected by time and environment. It’s the job of fashion designers to keep a bird eye on it and deliver the value that the customers desire. Although most of the clothing is designed for everyday routine where comfort and ease are the major focus, other garments are designed for special occasions such as parties, formal occasions like meetings, conference or even job interview and cultural events like weddings, festivals, etc. The designer must be well updated and competent as the fashion trends are changing at a great pace. Fashion designing requires a lot of imagination and foresight. During the fashion designing course students develop these qualities while learning other technical aspects like sewing, stitching, gluing, and dyeing. Bachelor in fashion designing (BFD) is the major course provided by colleges in Nepal. Students who have completed plus 2 level with minimum 35% in 100% in any discipline are eligible to study this course. Entrance exam is also conducted by some colleges. Namuna College of Fashion Technology, affiliated to Purbhanchal University conduct entrance exam. The course duration may be of three to four years depending on the institutions. Some institutions also provide crash/diploma courses on fashion designing. Students who have completed class 10 level are eligible to study diploma level courses. The duration of course is three months for basic level, six months for certificate level and fifteen months for diploma level. Students can also specialize on specific dress designs. There are few colleges in Nepal that conduct the fashion Designing course program. Most of the colleges are in Kathmandu Valley. We are gathering information about Fashion designing colleges in Nepal that operate from cities other than Kathmandu. We will update this list to include Fashion designing colleges in Butwal, Fashion Designing colleges in Biratnagar, fashion Designing course in Pokhara, fashion Designing colleges in Dharan and colleges in other major cities of Nepal. If you are running or know about any college that conduct the fashion designing course please inform us about that through admin @ studentsnepal.com. It is not relatively a costly course for the students although this course involves a lot of technical as well as practical aspects. There are diploma courses as well as Bachelor courses for Fashion designing in Nepal. The cost for one year diploma course in Nepal is about NRS. 90,000-100,000 and for three-year bachelor course for Fashion Designing in Nepal is about NRS. 350,000-450,000.This is just the tuition fees for gaining the degree. Students might have to spend few extra thousands on projects and materials. The talented students and students from marginal community are provided with special scholarships. The fashion industry is growing rapidly in Nepal. Need for highly qualified and skilled manpower is increasing with the growth in this industry. As the course in fashion designing course is career oriented, students can get job in different fields like designer, fashion journalist, fashion blogger, costume designer, pattern designer, embroidery designer, fashion trend maker, etc. They can open their own boutique and make customized clothing for customers. The professional fashion designer can have a great earning till their life time. They can also make passive income from different side projects and custom projects during their career. Today people want to try new trends and designs in the market, thus we can say that fashion designers have plenty of opportunities to grab. If you have and queries/questions or resources to add to this article please send us email at admin @studentsnepal.com. biratnagarma fashion desigining sambandhi padnuko lagi kaha contact garnu parxa hola?